What is the first thing that comes to your mind when you hear the word Employee Recognition? or Rewards and recognition ideas? Corporate Gifts? Annual employee-of-the-year ceremonies? Performance awards? Well, implementing employee recognition at the workplace goes far beyond that. Employee Recognition is paramount in a workplace. When your employees are well recognized they feel empowered and motivated. Although Employee Recognition is the buzzword in the Human resource management space, it is also the most ignored and taken-for-granted aspect of employee engagement. Firstly, it is hard to quantify or track the level of recognition in a workplace. Secondly, recognition is simply equated with rewards. So, What’s the difference between Reward and Recognition? Rewards are tangible, whereas Recognition is priceless. Rewards have economical values, whereas Recognition has emotional value. But rewards and recognition share a very strong relationship. A thoughtful reward presented in the right manner at the right time can help in establishing employee recognition in an organization. 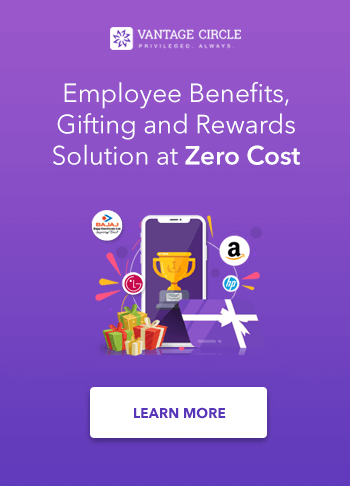 Providing your employees with the best rewards and implementing the best recognition practices will help you in creating a holistic work environment for your employees. This Guide for Rewards and recognition ideas will definitely help you in getting started. I’ve written an elaborate blog on How to implement Employee Recognition in an organization. I’ll suggest you go through the article to get a better idea of the Hows and whys of Employee Recognition. 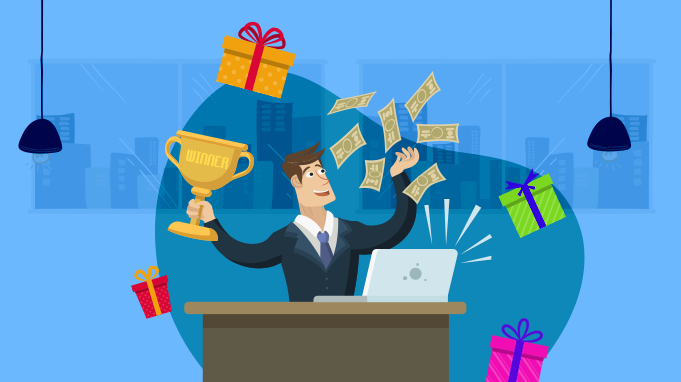 In this blog, I’ll be presenting you the list of BEST Rewards and Recognition ideas or practices that will boost employee recognition in your workplace. Some of these ideas may be extremely easy and cost-effective to implement, while others will require some extra efforts from your end. You can choose the ones you think will be best for your workforce. In general, a little thought goes a long way. Always. This is probably one of the most suggested actions that you’ll come across to show your gratitude to your employees. Everybody craves for some appreciation and the impact of a verbal or handwritten “Thank You” is unparalleled to any other form. So, make sure you don’t miss out on saying thank you to your deserving employees. Sending a generic email on birthdays of your employees (although is better than nothing), is not enough. You gotta make them feel special on their special day. And the good old “happy birthday to you” song and a cake never fails to make your employees feel recognized. If you have a huge workforce and it isn’t possible to do so, at least make it a point to send a handwritten note. Also, celebrate personal milestones like wedding anniversaries, Work anniversaries, Promotions with your employees. Are you always in a formal business environment while interacting with your employees? Do you not get to see all your employees regularly? It’s definitely time to make some changes. Add room to your calendar for those outdoor team lunches. A good meal brings out the best moods. Outdoor team lunches can be a great opportunity to enhance communication within the organization. Your employees are digital natives and they are used to experiencing instant results in all spheres of their lives. They want to be recognized and they want to be recognized right away. If you notice anything recognition-worthy, do it right away. Sometimes small gestures like a “well done” or “Congratulation” text at the moment is more effective than something relatively bigger done later. Recognition from peers holds special value. Sometimes peers are more aware of the work of their co-workers than managers/ in-charges. They are the ones that work alongside and they have more impersonal relation with each other. They often see qualities that are overlooked by managers. A healthy peer-peer recognition is a key to make your organization come to life. It can be done easily by conducting surveys among employees and recognizing the ones with maximum votes. Vantage Circle’s Reward and Recognition program even allow peers to instantly recognize colleagues individually. Promoting wellness in the workplace is a step that can help an organization in many ways. Apart from benefits such as improving the health and wellbeing of employees, reducing absenteeism, increasing productivity; it presents a caring image of the company. A sound corporate wellness program is a must-have in an organization. When such extra efforts are taken for improving the wellbeing of the employees (outside their work) they naturally feel valued, cared for, and hence, recognized. Most people love to see themselves on the screen. Make a small 5-10 min video and let your employees be the stars. Ask them to share their experiences and likes/dislikes about the company. You might very well be surprised to see the number of voluntary participation. Such practices make your employees feel more connected and “part of” the company. And of course, make sure you share the video with everyone once it’s ready. Employee recognition is all about emotionally connecting with your employees. A great yet simple gift that you can give others is the gift of acceptance. Practices like proving Business cards to your employees, putting your staff on your company’s websites make your employees feel accepted by the organization. These are lesser known drivers of employee recognition. Business cards hold social stature and moreover they come in handy and serves many purposes. Same goes for putting your team on the website. They feel part of the bigger picture! I will highly recommend you to implement it ASAP. There are employees who consistently bring new ideas to the table or add a dab of creativity to whatever work they do. These are generally the ones who are truly passionate about the job they do and are always trying to give their best. Let them know that you appreciate their efforts. Make it a point to acknowledge them from time to time. Such recognition will naturally motivate others to express their ideas and go an extra mile. So, if you don’t have an award reserved for them, do it now. And while rewarding these particular people go creative! (Here are some ideas). Having a wall of fame in the office where the achievements or accomplishments will be displayed for the entire staff to see, will be an absolute topping on the employee recognition cake. It will make the appreciation even more notable and valuable. You can also have digital screens with live feed on Recognition, Birthdays, anniversaries etc in prime locations of the workplace. Sometimes, small changes can have a profound impact. Changing the setting of the work environment has proven to show great results. We all know that all work and no play makes Jack a dull boy. While it might not always be feasible to take days off but it is totally possible to get to a middle ground. Change is good for the soul. So once in a while, don’t hesitate to take those long mundane meetings to an outdoor setting. It will automatically make those meetings less appalling. Some of your ambitious employees might want to gain more knowledge in their domain outside their job-profiles. As an employer, you must encourage that.You must acknowledge that an individual’s personal growth is just as important as the growth of the company. It can be done by sponsoring enrollment in online/offline courses of their choice or allowing a sabbatical to let them sharpen their skillset. Most people want to make their contribution to the society or environment. Wouldn’t your employees just love it if the company makes a donation for a social or environmental cause in the name of their employee or employees? They certainly would. 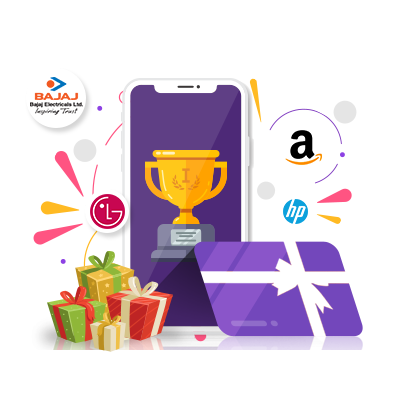 It will be a very thoughtful gift and your employees will not only feel recognized by you but they’ll receive recognition from different quarters as well. Such recognition can give an individual incomparable joy! Another great way of appreciating your employees is to have some special rewards or awards that are exclusive to your company values. Brainstorm a bit. What is that unique idea that your product or services are trying to sell? Are you rewarding your employees who are religious followers or believers of that very idea? Let’s say you’re an Indian ethnic wear fashion brand, wouldn’t it be cool to reward the most stylish or fashion forward employee once in a while? Implementing employee recognition is an ever-evolving practice and it requires your continuous effort. To make your employees feel recognized you will have to build a culture of positive morale in the workplace. Be it greeting each other every morning, having an open door culture where anyone can talk to the boss at any time, friendliness, celebrating personal milestones, treating everyone as equal- are some practices that help a lot. Employee Recognition isn’t something that is meant to be done inside closed doors. Go public while you recognize your employees. When you recognize your employees in a public forum, they get to exhibit their hard-earned appreciation. Another way of going public with employee recognition is to take it to social media. Your employees naturally spend a huge amount of time on various social media platforms. They would love it if they could flaunt their recognition on these platforms. Employees love it when they are heard. They love to be included in the decision-making process of the company they are working so hard for. So, when you plan to make changes in the ongoing projects or upcoming projects, take the suggestions of your employees. Your employees are the ones who deliver the result, so it’s supremely important to keep them on loop at all times. Also, if there are certain major steps that must be taken, make sure to explain your reasons to your employees. Employees should not be kept in dark at any point. A great way of giving recognition to your employees would be to let them interact with the CEO or president of the organization. They’ll be ascertained that their good work is being actually valued by the organization. There can be special meetings with the chief, exclusively for those who have earned it. It can be based on various criteria such a performance, good attitude, tenure, creativity etc. If physical meetings are not feasible, a special video conferencing with the chief will do the trick. It is basically incorporating elements of gaming into a non-gaming situation. Gamification in your employee recognition can be a great idea. It will spur interest and lead to a more effective performance by your employees. The idea is to make employee recognition an instantaneous and continuous affair. The next step then will be keeping track of rewards and recognition earned by your employees. Create leaderboards, badges, certificates to acknowledge recognition earned by employees in different spheres of their work-life. Competition can be a great driving force as long as it is healthy. A point-based reward and recognition system which makes it easier for you to quantify and manage your R&R program. Do you know what our employees would absolutely love? It is the gift of real choice. When your employees have the option to choose a tangible reward for a job well done, it will give them the utmost satisfaction. So, next time you want to reward your employees, ask what they want. Another easier way to do that would be through a Point-based rewarding system. Point-based rewarding is becoming more and more common tool for employee recognition. 21. Surprises are the best! Who doesn’t love surprises! Right? Don’t stay away from surprising your staff (with good food) every now and then. Hectic weeks, big projects, final submission week or for no particular reasons at all- surprising employees with an in-house mini party is a great practice! Long lunches, Pizzas for all, food-truck treats, ice-creams treats are some great impromptu ways of doing so. So go ahead, when’s the next surprise Party? If someone says Gift cards don’t work anymore, don’t believe them! They surely do. All you gotta know is what should that Gift Card contain. Gift cards are available for all sorts of products and services. From shopping to traveling to dining. They are available for almost everything you can think for. What makes gift cards unique and better than cash is that they ensure your employees have a guilt-free spending. Because they are given gift cards and not cash, they must take the opportunity of treating themselves rather than spending the money on something more useful (one that doesn’t end up feeling like a reward). A relevant and thoughtful Gift card has the ability to leave a lasting memory in the minds of the receiver. Do not knock out the good old Employee-of-the month, Employee-of-the-year awards. They still work very well as tools for enhancing employee recognition. Performance-based awards have a charm on their own and they have continuously proved to be a compelling source of recognition from a long time. Such a time-honored practice that drives motivation must not be ignored. Time is the most valuable gift that you can gift your employees. Your employees (just like everyone else) are trying to juggle a lot of things in the 24 hours of the day. Moreover, who doesn’t want some extra time to spend with family or to just relax? If you reward your employees with the gift of flexible timing, they’ll undoubtedly love it. Similarly, Bonus time, designated work-from-home days are great ways of rewarding your employees. Gone are the days when you can apply a “one-size fits all” approach while rewarding your employees. They are individuals with different likes, dislikes, and preferences. It’s a great idea take the effort of going an extra mile to understand their needs and reward your rockstar employees accordingly. A tailor-made reward naturally creates a lasting impact on the mind of the receiver. When you go out of your way to add a personal touch to your reward, it ascertains a connection between the receiver and the giver. This article is written by Darsana Dutta. Darsana works as a Content Creator in Vantage Circle. She is a Human Resource Management enthusiast, she loves keeping herself up-to-date about the latest trends around Employee Engagement. She is a painter, a passionate book-worm and an Aquarian inundated by nature.